One fateful Sunday, I found myself in Las Piñas City, a rare circumstance even though the city lies within Metro Manila. 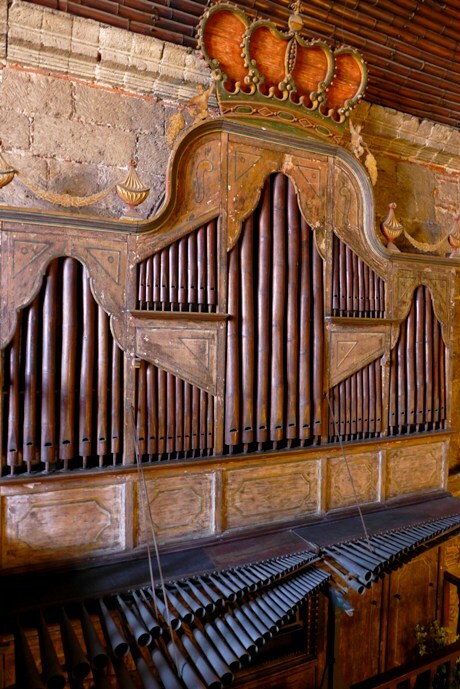 A personal errand brought me here, and I decided to take advantage of this chance to visit the city’s famous bamboo organ while I was around town. 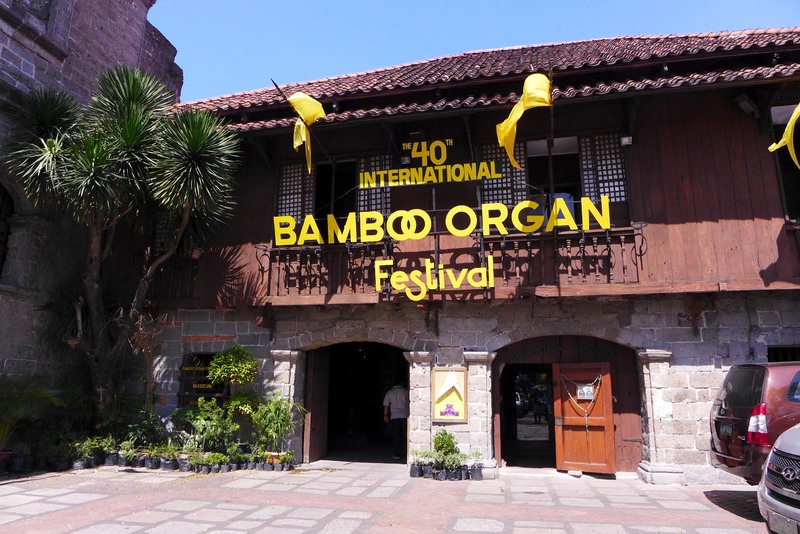 Coincidentally, it was actually during the Bamboo Organ Festival when I visited. Despite my lack of sleep the night before, I strived hard to make it to church, hoping that they’d play the organ during the mass. Unfortunately, we found the church doors closed upon our arrival. 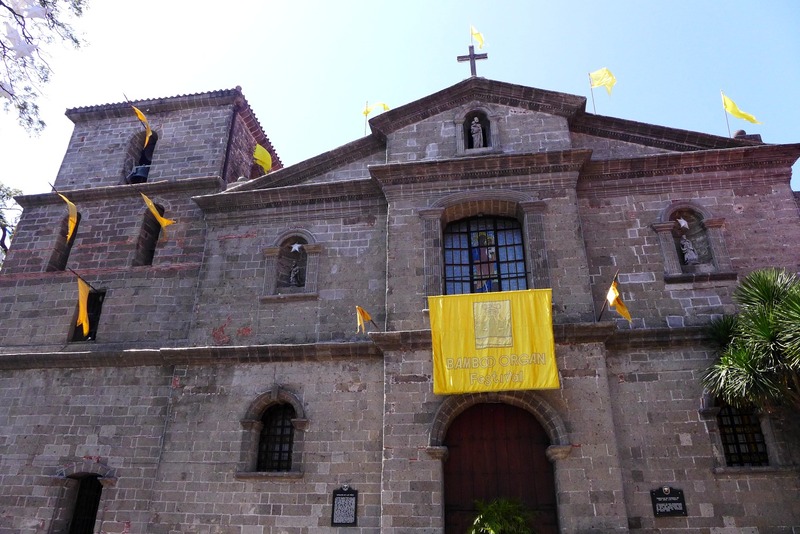 Apparently, they close the church down during the festival, and hold the mass instead at a chapel at the back of the compound. Determined to get more out of my visit, I asked one altar server after the mass whether I can see the church, in the hopes that he’d allow me even just to take a peek. He said that I could go to the office and ask for permission. Of course, I didn’t know where the office was and asked the guard instead. He pointed me towards the museum. Great, there was a museum! A big group of foreigners stayed in front of us, and I gladly took a step back so that I wouldn’t have to join their group. Luckily, we were designated one guide who just came in for work, a stroke of luck that would really change my experience. Gani started the tour off with an introduction of Fr. 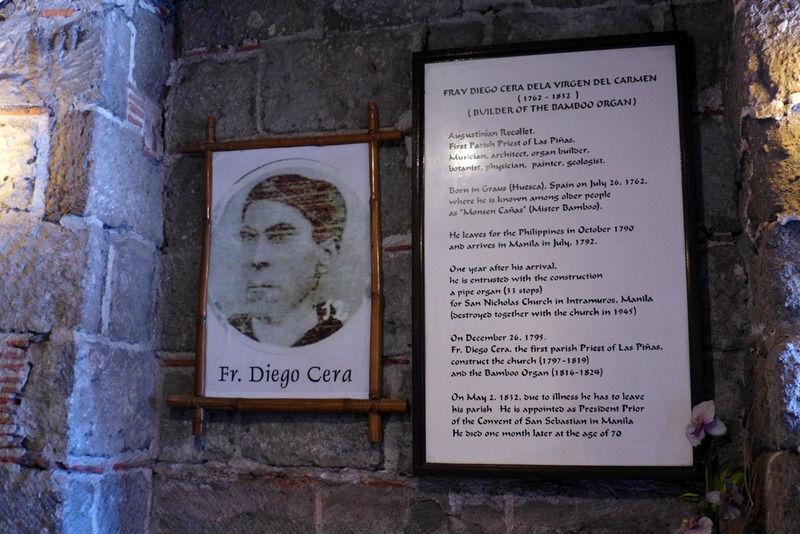 Cera, the priest who conceptualized the use of bamboo as organ pipes and turned it into a reality. 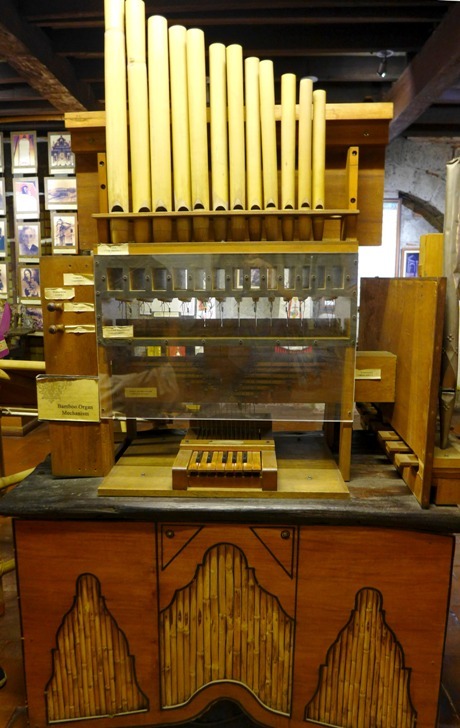 We were shown the mechanics of how the bamboo organ operates and the efforts done to restore the city’s bamboo organ in the 1980s. 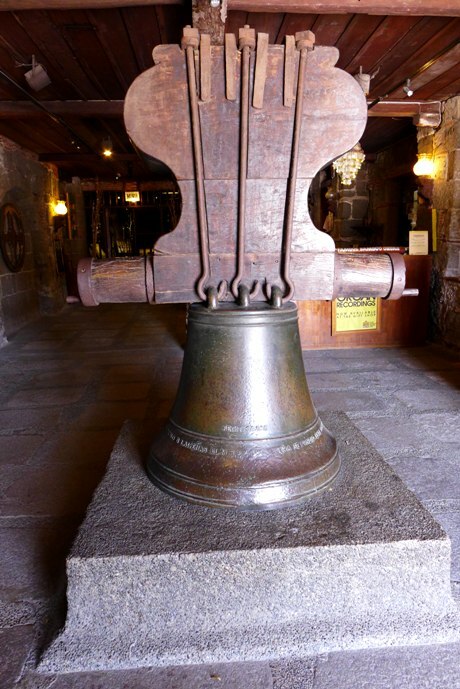 Plus, our guide also informed us things about the city I’ve never heard before, such as that Las Piñas was initially called Las Peñas, owing to the abundance of large stones present in town, and that the town’s livelihood was primarily salt-making. The museum was really small — it’s just a room, in fact — but the stories of our guide made it too interesting to make us move forward fast. Just as we were ending the tour, one of the administrators cleared our visit to the church. Yay! 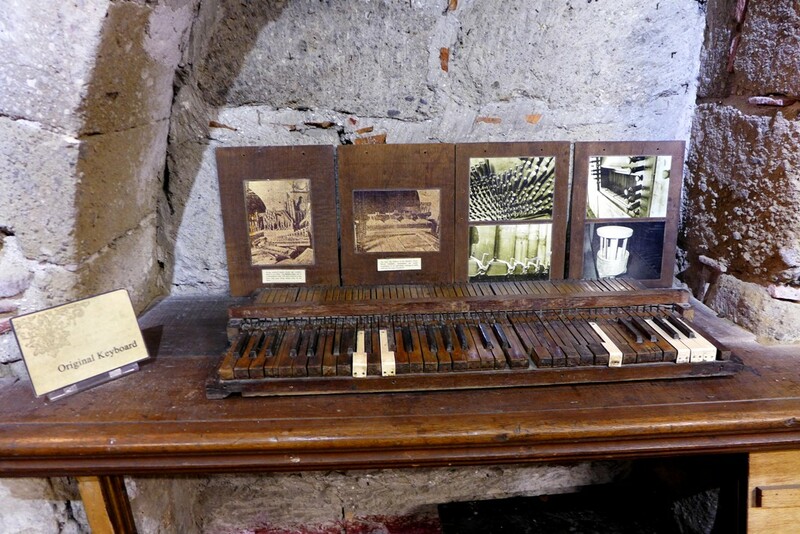 After climbing a rather dark and creepy staircase, I finally had a very close look at the bamboo organ. 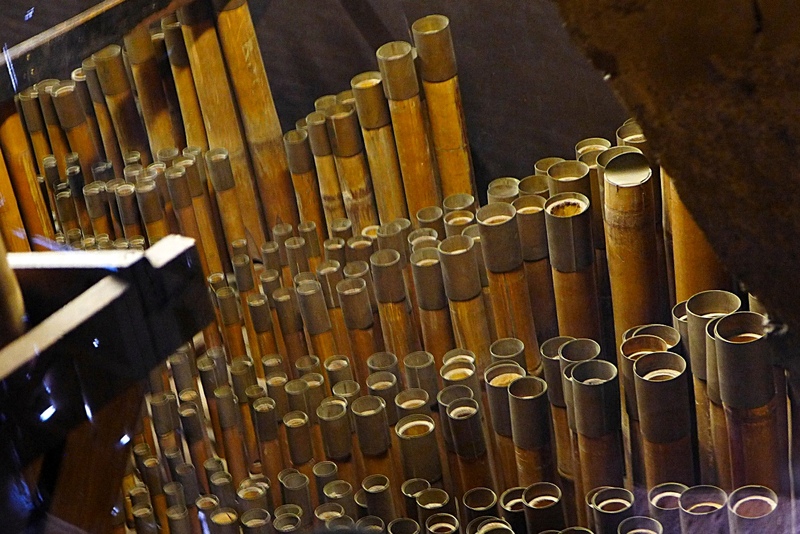 Gani showed a window where we could see the bamboo pipes up close, and even pointed which are there to produce music and those that are present only for aesthetic purposes. 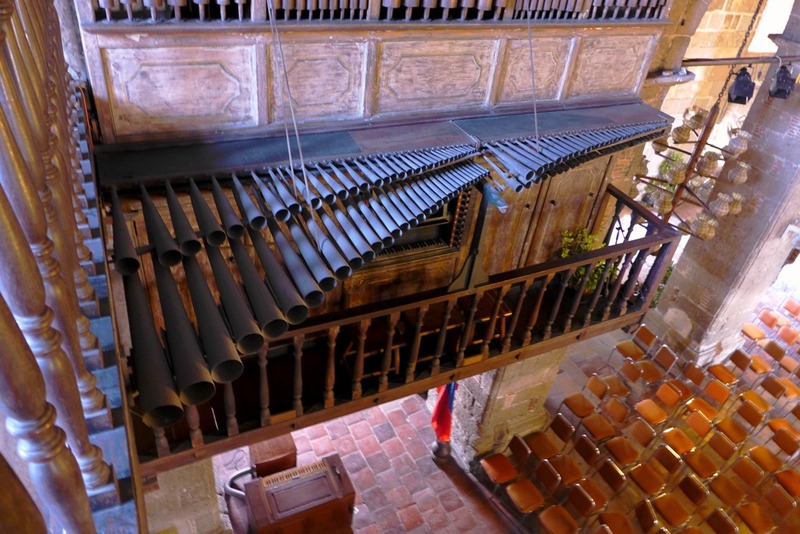 If you visit during non-festival period, you would actually be played some music from the bamboo organ. But as luck would have it, daylight meant rest and maintenance during the festival. Later on, Gani informed us that he was actually researching about the city of Las Piñas and plans to write a book about the city’s history. 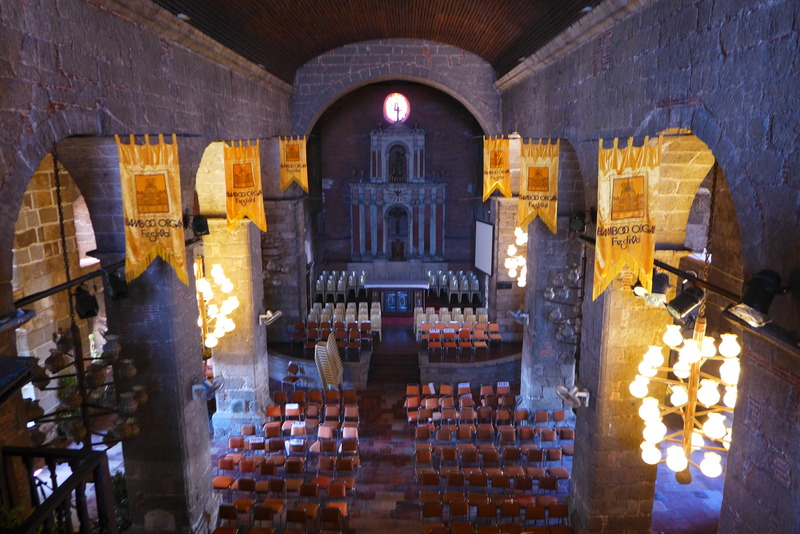 Ask him a question about the city and the bamboo organ, he knows the answer. Rarely had I encountered a Filipino museum guide as knowledgeable as he is, and I commend him and his passion. Look for him when you visit. 🙂 He also conducts walking tours around Las Piñas, in case you’re interested. It was a short tour, but nonetheless informative. Pay it a visit some time. Happy travels!